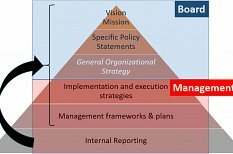 Here are seven snippets on corporate social responsibility, shared value management and governance inside organizations. These panels of text and images are clipped from some of my lectures and Executive events delivered recently in Asia, Africa and North America. Feel free to share and apply if you find them useful.